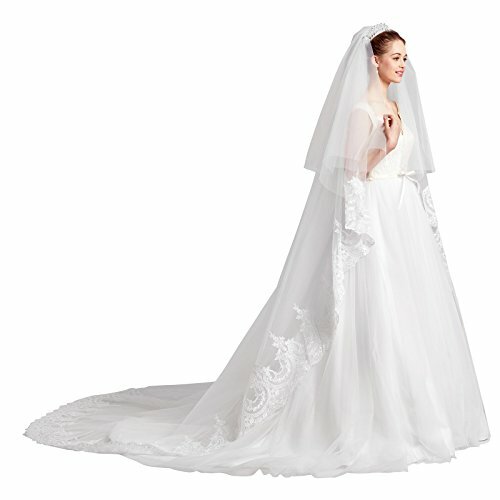 AW 2 Layers Ivory Cathedral Wedding Veil Lace Applique Edged Tulle Bridal Veil with Metal Comb 133"
FEATURE: This veil comes sewn to a metal comb for easy placement the day of your wedding and has a 9.84" eyeball lace edging, classic and timeless, will easily match most dress designs. If you have any questions about this product by AWEI, contact us by completing and submitting the form below. If you are looking for a specif part number, please include it with your message.